AP/Getty Images/Business InsiderThe Democrat Danny O’Connor, left, and the Republican Troy Balderson. Backed by President Donald Trump, the Republican Troy Balderson held a narrow lead over the Democratic insurgent Danny O’Connor in Ohio’s 12th District special election on Tuesday night, leading the race by nearly 1,800 ballots. A victory for Balderson was not unexpected in the deep red district where Trump won by 11 points in the 2016 election, but the narrow margin is seen as a positive sign for Democrats who are working to reclaim a majority in one or both chambers of Congress in November. 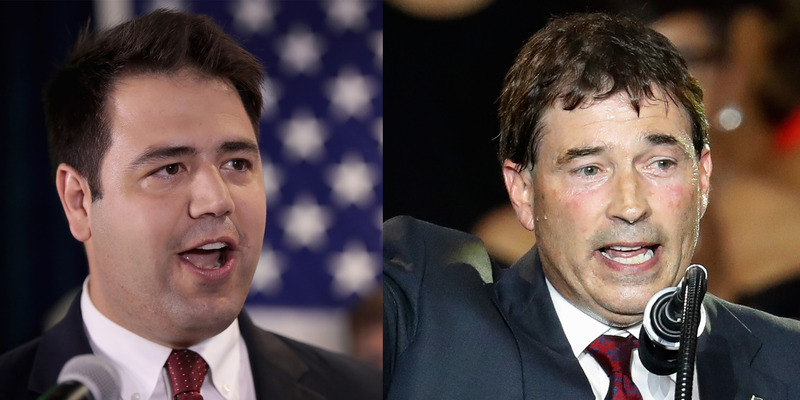 In the meantime, Balderson is expected to take the House seat abandoned by Republican Rep. Pat Tiberi, who announced his resignation in October, midway through his term. Balderson and O’Connor will face each other again in the November 6 general election. Backed by President Donald Trump, the Republican Troy Balderson held a narrow lead over his Democratic challenger, Danny O’Connor, in Tuesday night’s special election in Ohio’s 12th Congressional District. With 100% of precincts reporting, Balderson led the race by nearly 1,800 ballots in a deep red district that Trump won by 11 points in the 2016 election. Balderson is expected to take the House seat abandoned by Republican Rep. Pat Tiberi, who announced his resignation in October, midway through his term. Democrats can view Tuesday’s narrow margin as a promising sign ahead of the November midterms, as the 12th District has been a Republican stronghold for more than 30 years. It could signal another competitive contest between O’Connor and Balderson when they meet again in the November 6 general election. “I’d like to thank President Trump,” Balderson said in his victory speech, even as several news networks held off on calling the race late Tuesday, citing the vote count and outstanding provisional ballots that need to be tallied over the next 10 days. “No matter what happens next, I’m proud to stand beside the thousands of volunteers who have made this campaign possible,” O’Connor said. The two candidates swapped the lead multiple times Tuesday night as the votes came in. At one point, with 95% of the votes counted, Balderson led by just 741 votes, or 0.4 percentage points. Husted must officially certify the vote count by August 24. Balderson, a 56-year-old GOP state senator, is a former auto dealer, while the 31-year-old O’Connor is the Franklin County recorder. Recent polling had them nearly neck and neck, with O’Connor picking up significant momentum in the race’s final weeks. Eliza Relman contributed to this report.